My philosophy when it comes to fashion is that you don’t need a lot of money to feel and look your best. It’s all about dressing your body type and remixing the things you already own. When you utilizing your wardrobe is all about being able to wear certain pieces many different ways, different times of the year. Here is how I have styled one of my favorite tops four different ways for each season. 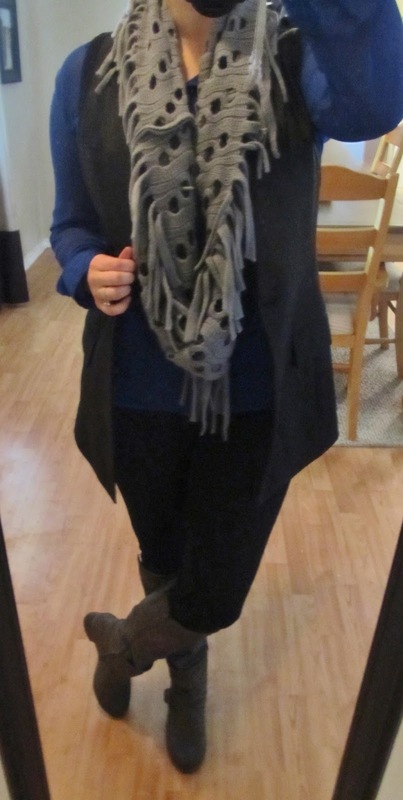 Adding a long black blazer vest and a scarf elevates the look and is still appropriate for colder weather. I kept the whole look cool toned with darker neutrals so the blue really pops. I love this look. It has that pop of orange to contrast with the blue. Adding white skinny jeans to the look makes it feel more bright and perfect for spring. Tying this top in front and rolling up the sleeves makes it more suitable for summer. 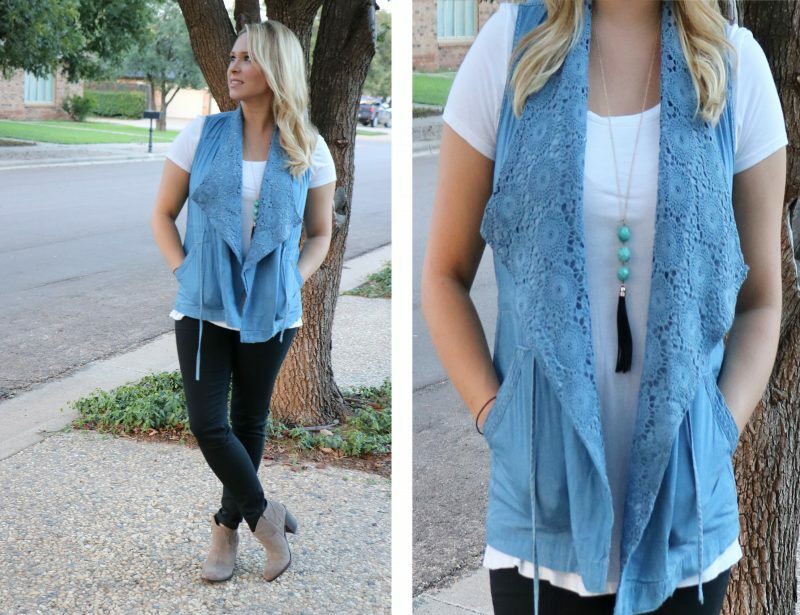 I paired it with jean shorts and chunky wedges with a Kendra Scott necklace.